Mr. Vinson’s classes had the opportunity to meet with the Warren County Soil and Water group and discuss soil management. The students were introduced to a computer program that will allow them to see soil types and how professionals choose areas for building farms, homes, pools, etc. 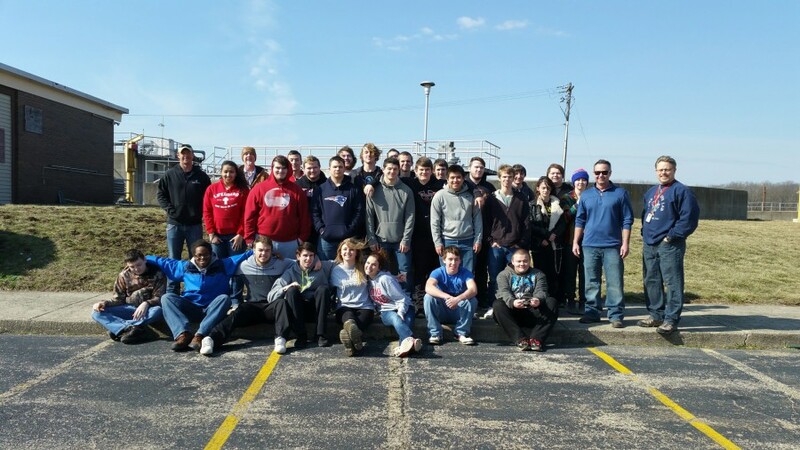 Students also had the opportunity to visit the Franklin water and waste-water treatment plants. The students learned how the city draws water from the aquifer and how it is treated before arriving to their homes. The second stop of the trip took the students to the waste-water treatment plant. Here, students observed how waste-water is treated and cleaned before it is returned to the river. This opportunity allowed students to see what is occurring in their own backyard. These types of learning experiences are a part of the effort to make students in the environmental sciences career and college ready and offer them real life experiences.